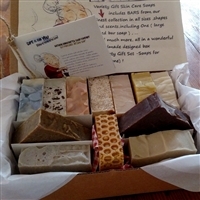 Natural Handcrafted Soap Company / small business was created with the idea to make all natural artisan handmade soap the way it was made centuries ago. Natural Handcrafted Soap Company offers slightly larger bars with a longer aged / curing process..
We offer a few different Specialty Soaps from our rare collection of natural handmade soaps and a few rare ingredients from the Amazon Rain Forest. Buriti oil, marula oil, coffee oil, cupuacu butter, organic unrefined African Shea butter, Brazilian nut butter and a variety of natural clay's to name a few. From the lush green forests Amazon of Brazil , Chile to the Bolivia, Colombia, Peru to India, Japan, China , Israel , France , Italy , Africa and of course the wonderful good old USA ! .We bring you a collection of exotic, luxurious unrefined therapeutic high quality ingredients for our handmade soap products. Our ingredients must retain its full therapeutic healing properties. Cosmetic Grade is not enough. 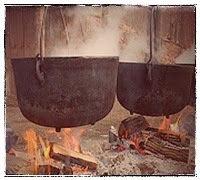 Our ingredients are used by local population either as a nutritious food source, as for healing the body . All our cold process soaps are handmade from start to finish in really small batches, hand stirred , hand cut and hand wrapped. WE never use chemicals, preservatives, just all natural ingredients. Pure Natural Soap: Our "natural handmade handcrafted soaps" are crafted using natural herbs, spices & clay's and are scented with 100% pure essential oils for wonderful skin care. These completely natural Artisan soaps contain no artificial colors or fragrances, all out Goats milk, cow milk, and buttermilk all come from our local farm, " Cant get much fresher than that. Coffee soaps only the finest ground coffee used in our products, Guinness extra stout in our beer soaps and farm fresh milk from our local farm in all our milk soaps makes our handmade soap a super sudsy, healthy, velvet like fragrant treat that will leave your skin soft & smooth . 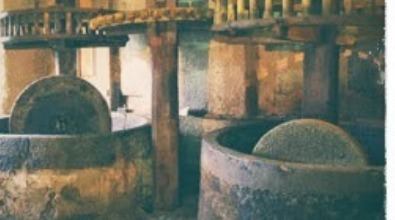 For a long time people have used hand soap and "body soap" that leaves their skin feeling that slimy, dry, or oily , that is why we decided to make our own line of pure natural Artisan soaps the way they were made centuries ago as they did in Aleppo using simple natural ingredients with a long curing process. 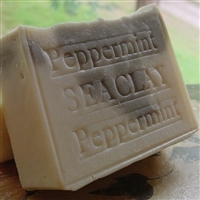 Natural Handcrafted Soap Company. takes pride in bringing the best in handcrafted soaps, that are healthy for the skin natural and handmade with lots of love. Fresh smooth and silky fresh ground organic oatmeal soap .Our oatmeal bath soap is great for all skin types. Recommended for sensitive skin, one of our top selling soaps The people of Brazil have long known the benefits of coffee as skin care, now it’s your turn . Coffee in soap acts as a natural deodorizer. Plus it exfoliates, leaving you with smooth, odor-free skin! 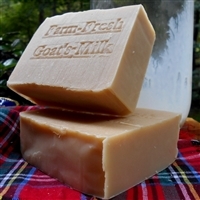 Over the years we have developed a goat's coconut milk soap ultra-rich, incredibly moisturizing, and generally wonderful Goat and Coconut Milk with Honey and Oatmeal Soap was created to moisturize and smooth your skin to perfection. 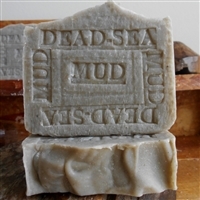 Choose from over fifty variety's of soap, all real handmade and all natural.
. WE use the black mud harvested from the banks of the Dead Sea is in fact alluvial silt washed down from the surrounding mountains and deposited on the shores of this inland salt sea. Layer upon layer of fine silt deposits have evolved over thousands of years to form a rich Dead Sea mud containing particularly high levels of magnesium, calcium, potassium, strontium, boron iron and more. 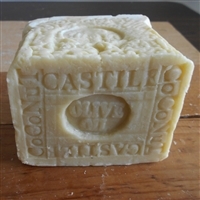 All soaps are made by hand by the owners of the company. These are our soap loafs made in seasoned aged wood from Brazil by my grandfather back in day. Discover great deals on orders of $45 or more. Shipping: This item is also available for shipping to countries outside the U.S.(Anytime, Any Day, Anywhere) . From North Carolina- Raleigh to all the States and all over the WORLD!